-To start. Folks know I love Anthropomorphic works. I am an artist for it, and a lot of my creative process is based on these works. So the announcement of this movie set very high expectations to be good. Well...I wished really deeply that this would be a great movie. This being a Disney only production outside the realm of PIXAR. I was a bit worried, Until I saw the film. 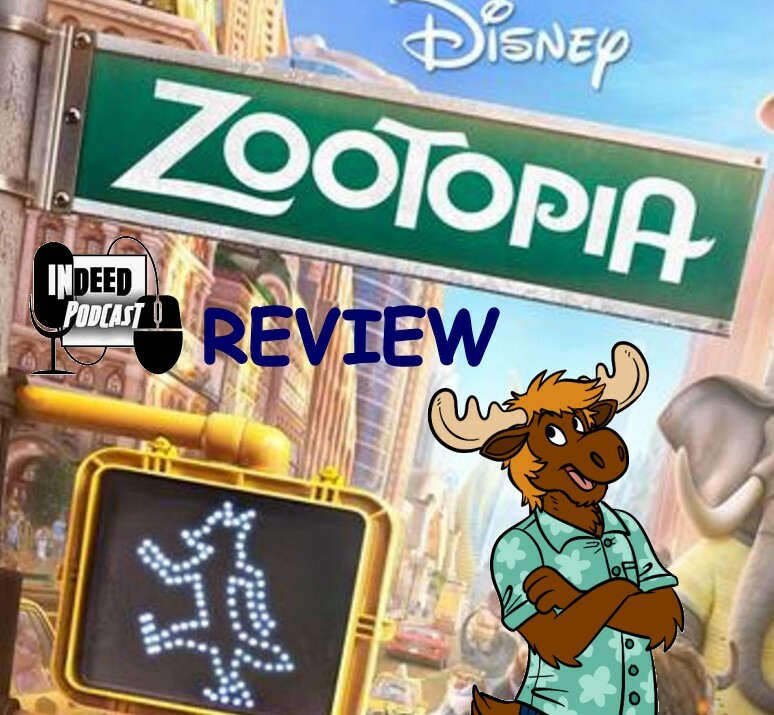 Zootopia is directed by Byron Howard and Rich Moore, co-directed by Jared Bush, and stars the voices of Ginnifer Goodwin, Jason Bateman, Idris Elba, J.K. Simmons, Tommy Chong, Octavia Spencer, Jenny Slate, and Shakira. Which doesn’t sound like much. If you know the directors Bryon and Rich, you would know their works such as Mulan, Lilo & Stitch, Tangled, (Bryon) and several Futurama and Simpson episodes (Rich) then we have the talented voice works from Jason Bateman and Ginnifer Goodwin. 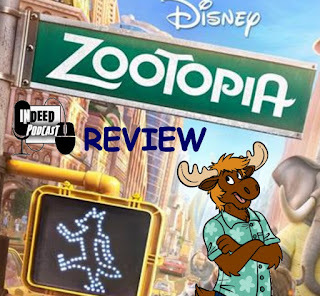 The short summary is about a story involving a country bunny named Judy (Goodmin) who dreams of being a Police Officer in the central city of Zootopia where both Predator and Prey live peacefully. But small animals just are not police officers in the big city. The challenges are placed in front of her to overcome and prove herself in a environment that is continually against her. As seen in all the previews which you can see her progression. The one thing the film does right was allow you to see that progression from rookie to Officer. They also help explain what Zootopia is and how it works. This intro into the city was something visually exciting to watch and a bit overwhelming. So much is going on, it only makes logical sense to have to watch the film more than once to catch everything. (cleaver Disney) Once on the police force in Zootopia, she gets connected to a missing mammal case, which the city is trying to keep under raps, but is still clueless to what is going on. Judy meets up with a fox named Nick played by Jason Bateman, who gets roped into helping her in this case. The matching of these two provide such great chemistry, it was extremely enjoyable to watch. The overall production value was truly amazing with the detail put into every person in the film as well as all the background characters. This was created on the scale seen in most Pixar films but in a greater scale. The city of Zootopia has so much in it that they can only provide small segments of the city. But they have provided amazing content to the parts they are able to show you. Finally for content of the film. Yeahhhhh. I loved it. The build of the backstory for the main characters help establish a quick and partial understanding of their troubles. This film is much about the segmentation by social class and race and the pre-judgments we make based on our very own past. Then shows us that we can overcome it by trust and common fact that we are all the same. I found the adult humor in the film to be presented in some very unique ways where most of it may or may not catch on. Granted a few of them are in your face adult humor. (I am speaking about the Naturalist Club) It is another film created for the enjoyment of both adult and child alike. My favorite characters in this film has to be Judy’s mom and dad played by Bonnie Hunt and Don Lake. I loved their interaction in the film and their with each other. Also have to mention I loved Mr. Big played by Maurice LaMarche as well as Officer Benjamin Clawhauser played by Nate Torrence. Their roles provide great laughs and enjoyment. They were not over the top crazy, but good comedy relief to move the plot along. Yes, I recommend the film for everyone. I know there may be critics who like to pick films apart. But let’s face it. For 108 minutes you are presented a world that in the end is believable and exciting and a place where you will enjoy visiting again. Granted I felt they could have gone a easy 180 minutes and I would have been deeply loving it. There will be a Zoopopia 2 or even a TV show version. There is so much more they could tell about this world and this film is just the start. For now they gave us a wonderful start to a world we can all enjoy.